A UK-based physicist has claimed that it is possible to build a time machine, but it will only travel to the future. 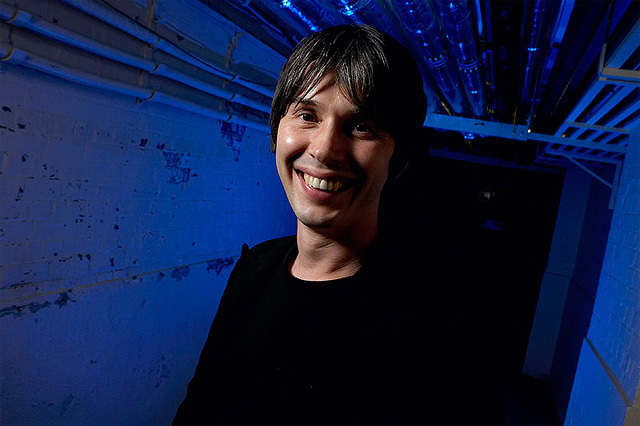 During a presentation at the recentyl-concluded British Science Festival, particle physicist Brian Cox from the University of Manchester, said that time travel is possible only in one direction, Huffington Post reported. Cox said that time travel to the future is possible under Albert Einstein's general theory of relativity. The researcher detailed the possibility by saying that travelling hundreds, or even thousands, of years into the future, could be accomplished if someone was travelling at an incredibly fast pace, close to the speed of light. According to Huffington Post, Cox explained that the theoretical bridge, or shortcut through space and time, as proposed under Einstein's general relativity theory has never been proven to exist. The researcher added that if a wormhole were discovered or created , there's no telling whether humans could actually use it to travel through time. Discovery News equated the theory to the so-called "Twin Paradox:"
Imagine twins, one stays on Earth (Twin A) while the other (Twin B) boards a spaceship and flies off at relativistic speeds. Compared with Twin A’s timeframe, Twin B’s timeframe will slow. If time is running slower for Twin B, then he/she will return to Earth where a lot more time has passed and Twin A has aged significantly more than Twin B. The mechanism behind this is “time dilation” and it has a stronger effect as you travel closer and closer to the speed of light. Coming back from the future or traveling to another point in the past is much less likely, according to Cox. Relating his theory to the popular British science fiction show "Doctor Who," Cox explained that the time-traveling Doctor would need to find a wormhole in order to return to the past. The theoretical bridge, or shortcut through space-time, proposed under Einstein's general-relativity theory has never been proven to exist. And, even if a wormhole were discovered or created, there's no telling whether humans could actually use it to travel through time. Cox isn't the only one to theorize that a wormhole could allow time-travelers to travel backward in time. Earlier this year, astrophysicist Eric W. Davis of the EarthTech International Institute for Advanced Studies said that a wormhole would be the best option for back-in-time travel. But, Davis acknowledged, it would "take a Herculean effort to turn a wormhole into a time machine."